The exotic meat emporium of Rosemead is headed West. After many a failed pho shops (101 Bakery, etc. ), the space on the corner where KT/JJ restaurant meats will now house Phong Ding, the famous purveyor of baked cat fish (cha ca for short, for long… err. google). The furniture is in (it never left) and the banner states: March 2010 opening date. 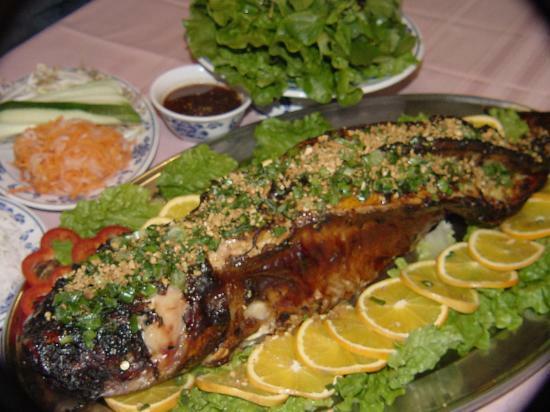 Of course Phong Dinh is famous for the baked catfish, but one can also taste kangul, alligator, frogs, etc. at this infamous Vietnamese joint with no OC branch. This place is best in a large party, as even the smallish fish ends up being very pricey for 2. Personally, I go for the prix-fixe dinners for less than $20. They do a quick salad, a few bits of baked catfish in crock pot, finished off with a soup and some rice. Killer bargain for seafood. My favorite Taiwanese restaurant in all of LA has opened its 4th branch as of Friday night. Now it qualifies as my favorite Taiwanese chain. There is some crazy kitchen sharing shenanigans going on with the San Gabriel branch, so please note this branch is still under “soft opening” phase – their terminology, not mine. This is the old Foo Foo Tei Monterey Park space, but there is already new signage (and banner) touting Taiwanese country cooking. Think red yeast marinaded fried pork chop, and delicious cold ginger cuttlefish, great duck, etc. And let us not forget the hand made noodles that surpasses even the best bowl of knife shaved noodle at JTYH. Yes, it’s out there now: this bowl of niu rou mien is better than JTYH. Last year, Mrs. Liang worked the San Gabriel shop for a bit, now her son is manning the new branch until the soup stock passes muster. Though this place touts itself as a carb house, per usual, look deeper and you’ll find a few dishes not often served in US of A. « Safran Poer’s “Sexual Urges” vs. “Meaty Urges” Argument is Retarded. social advertising has revolutionize what was thought-about the norm for on-line advertising and marketing. helped me out a lot. I’m hoping to provide one thing again and help others such as you aided me. not a lot concentrate on Internet deals or ecommerce/ purchasing cart systems. exactly where you propose placing thee fence. ѕսеԁ іn cаsе ѕоmeοne gеts Һսгt ⲟn yᥙг ρгoρегtу.